The Donald Trump Toilet Paper Roll is a hilarious way to literally wipe the smirk off “The Donald’s” face. Just in time for the 2016 Presidential Election, this item makes a great stocking stuffer or collectible for any fan of politics from US to Mexico! Get one for the whole family! Let's say it all together -- Dump Trump! Donald Trump has got to go and this is your way of showing it when you've got to go! 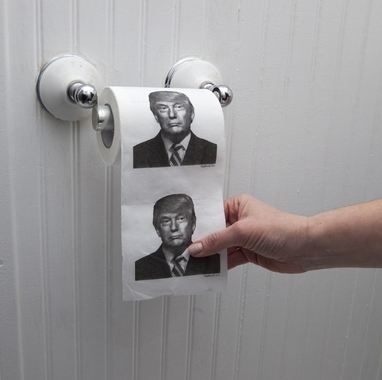 Get your Donald TP now. 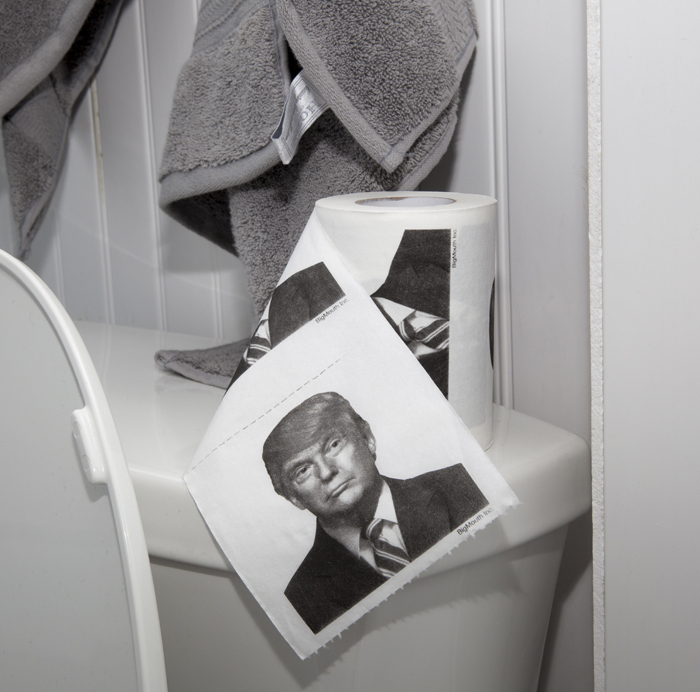 Availability: This Donald Trump Toilet Paper Roll usually ships out in 1 business day.